August 2, 2010 — George B. Curry, DC, FICA, DACS, LCP (Hon. ), was named a Fellow in the Palmer Academy of Chiropractic. This is one of the most prestigious honors bestowed by the college on an individual. The purpose of the Palmer Academy of Chiropractic is to promote the future of chiropractic, to engage in discussions of chiropractic’s role in society and to support Palmer College of Chiropractic through student recruitment, donations and in all other ways that are helpful to the college. Those who are named fellows in the Palmer Academy of Chiropractic are leaders in the profession and their communities and are supportive of Palmer College of Chiropractic and its educational and healthcare mission. Curry is a 1982 graduate of Palmer College of Chiropractic’s Davenport Campus. A lifelong scholar, he earned his Diplomate in Applied Chiropractic Science in 1994 and his Legion of Chiropractic Philosophers honorary degree in 2000. 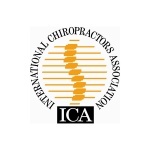 His professional associations include membership in the Connecticut Chiropractic Council, for which he has served as Chairman of the Board from 1992 to the present, the International Chiropractors Association, for which he has been Northeast Regional Director from 2007 to the present, and service to Palmer’s alumni association as alumni state president and state treasurer. He also has served as an adjunct faculty member for Palmer, Logan College of Chiropractic and the University of Bridgeport. Curry owns and operates two chiropractic clinics in Windsor and Bloomfield, Conn. He has been a team chiropractor for professional basketball and arena football teams in his community, and serves as chiropractor for World Wrestling Entertainment.